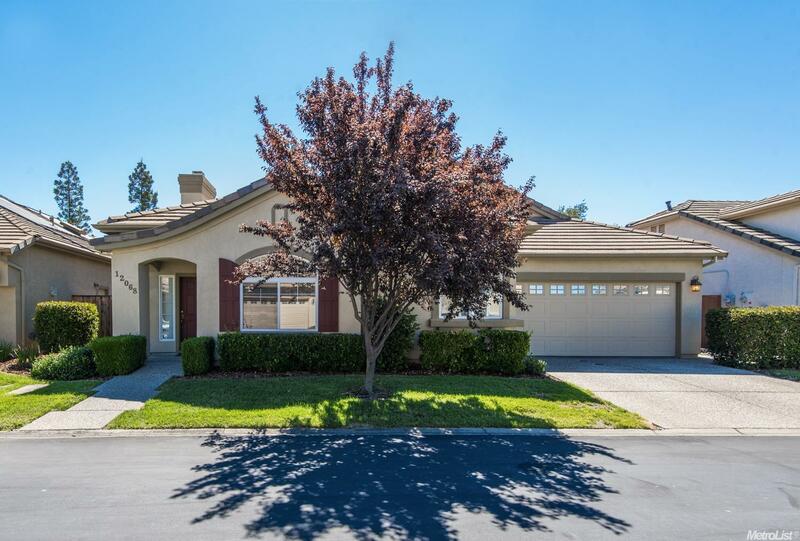 Sylishly updated Tim Lewis home in The Classics gated community of Gold River. Beautiful natural light & high ceilings compliment this open floor plan home. Neutral palette fits any decor! 20x20 ceramic tile flooring, granite counters w/travertine back-splash, SS appliances, modern lighting & fixtures. Updated glass & tile in shower, marble counters and brushed nickel fixtures. Easy living, low maint, low HOA & NO Mello Roos. Best location near AR bike trails, Aquatic Center & GR shopping.